It was supposed to be one press release. That’s all the tolerance Avantika Pandit, Bombay based journalist, had built up towards her school time archrival, Aisha Juneja. But that one event exposes her to the astounding news of her old bestfriend’s death. This discovery sends Avantika hurtling towards the people from her past, whom she had been glad to see the end of. 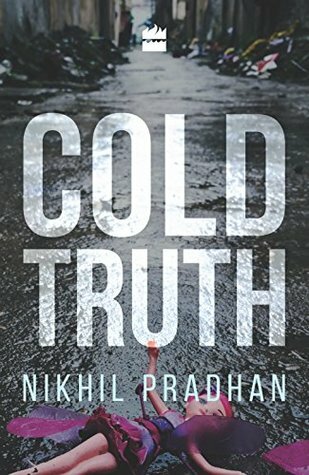 And as she gets closer to understanding how Laxmi Swaminathan passed away, she begins to comprehend just how far from the truth she had been straying, inevitably placing herself in grave danger. 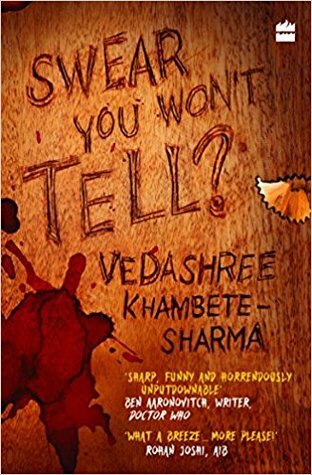 Vedashree Khambete-Sharma has spun an engaging tale of women who still carry the scars from their younger days. 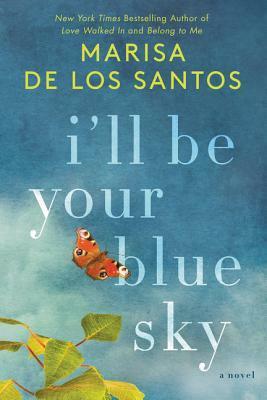 With a protagonist as sarcastic and unapproachable as Avantika, this book could easily have been one of those cases where the plot is great but the main character spoils all the fun. However, that is totally not what happens. A couple of pages in, I was already inching towards disliking her for her callous behavior, when the author takes us back to the 1990s i.e. Avantika’s childhood. We come face to face with a character whose experience with bullies has compelled her to build an armor of steel as a defense mechanism. And all throughout the book, the narrative alternates between the present and the girls’ school years. Being a media student and a 90s kid, everything about this book appealed to me. I could relate to the references made about campus culture, the lingo used in Indian English medium schools etc. Something I particularly loved about this book is its tone, that is the narrative through Avantika’s voice. It is colloquial and upfront, witty and attuned to Indianness. Undoubtedly, there will be moments when you can’t help but crack a smile at the humor imbued in the writing. I felt strongly about Avantika’s past, having had to deal with girls like Aisha who are drowning in their sense of entitlement and corrupt mind. A couple of things I wasn’t a big fan of were Avantika’s possible chemistry with Aisha’s brother, the high school clique representation where one of the girls had to be shown as daft, gullible and Laxmi being given this clean chit for never standing up for her former bestfriend (Avantika). Of course, at the root of it, this book is a mystery fiction. And it’s no wonder that I finished it in a day. Fast paced, thrilling and finally, surprising, because that’s an ending I would never have thought of, even though it makes some sense. I really enjoyed reading Swear You Won’t Tell? and I’m sure you wouldn’t want to miss it! So pick it up now! What do you get out of it? A suspenseful story explored through the perspective of a snarky journalist. Thank you Writers Melon and HarperCollins India for sending me a copy of this book in exchange of an honest review.